The world’s biggest tobacco company is encouraging smokers to give up cigarettes and switch to vaping in a multi-million pound campaign. The £2 million campaign, called Hold My Light, is aimed at persuading the UK’s 7.4 million smokers to go “smoke free” with the help of family and friends. Smokers are encouraged to give up the habit for a minimum of a month based on Public Health England research that found smokers who gave up for 28 days were five times more likely to stop smoking completely. The initiative has been launched by Philip Morris Limited, makers of Marlboro, as part of a new strategy to switch smokers to their vaping products. They cite Public Health England research, which suggests vaping is 95 per cent safer than smoking cigarettes. Peter Nixon, managing director of Philip Morris Limited, said: “This campaign breaks new ground which is an important next step in our company going smoke-free and ultimately stop selling cigarettes. Hold My Light is based on similar behavioural science initiatives that have created positive societal change and is aimed at the 60 per cent of smokers that say they want to quit. The campaign features a website, video and major £2m advertising campaign across digital and print media aimed at both smokers and their potential supporters. The website, www.holdmylight.co.uk, suggests the kind of pledges that supporters might offer – from looking after a pet to cooking dinner every night in a bid to help loved ones give up smoking. It is the first time a tobacco company has launched a smoke-free campaign directly aimed at encouraging UK smokers to give up cigarettes. It insists its smoke-free products meet rigorous regulatory requirements although concerns have been raised over the safety of vaping. 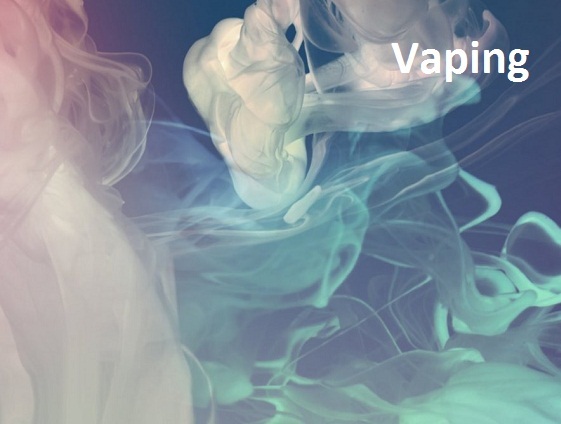 Since ecigarettes have only been on sale in the UK since 2007, long-term studies do not yet exist. A 2014 study in the New England Journal of Medicine found that “electronic cigarettes may function as a ‘gateway drug’ that can prime the brain to be more receptive to harder drugs”. A study published in Environmental Science and Technology in July 2016 identified harmful emissions in the vapour, including possible carcinogens and irritants, though at a much lower level than in conventional cigarettes. Each year, smoking causes around 46,000 deaths from cancer and 28,000 from respiratory disease in the UK, plus an estimated 20,000 deaths from cardiovascular disease. The Royal College of Physicians has reviewed the available evidence and advises GPs to promote e-cigarettes “as widely as possible as a substitute for smoking”.